You are the current highest bidder! To be sure to win, come back on Apr 04, 2018 12:36 CDT (18:36 BST) Date Format as the lot closes or increase your max bid. 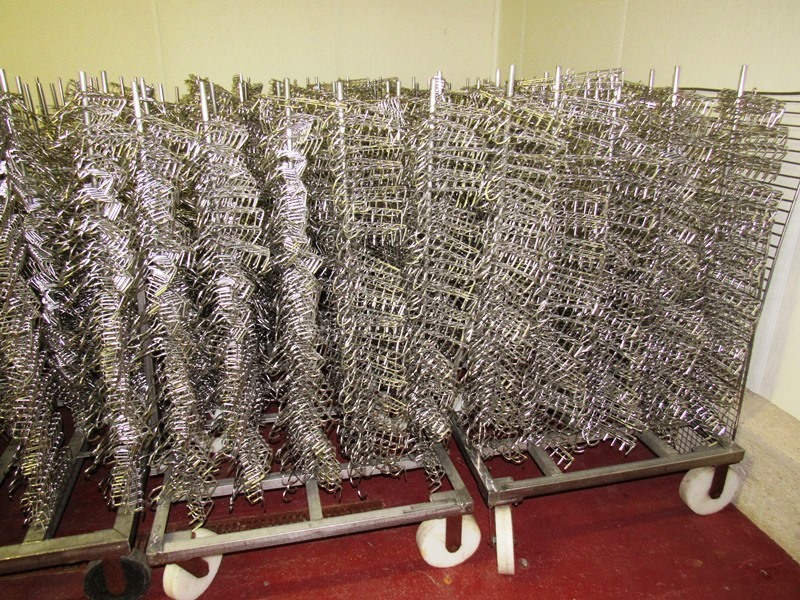 Lot (670) Stainless Steel Bacon Combs, 90% 10 prong, 10% 8 prong, on 2 carts ($25.00 Required Loading Fee- Rigger: Nebraska Stainless - Norm Pavlish - Phone #(402) 540-8843) Prices quoted are for the item(s) loaded on your truck. If additional packaging or palletizing is required there will be additional fees. 1. A Fifteen percent (15%) buyer’s premium will be added to all purchases. B.) Payment Must Be Received By Close of Business Friday, April 6th, 2018.
damages, costs or legal expenses arising therefrom. A.) The auctioneers will make every effort to provide security at the auction site. However, after a piece of equipment is sold, its' removal and security become the sole responsibility of the buyer. C.) All items must be removed by Friday, April 20th, 2018. All items must be loaded by the rigger. Property not removed by the allotted time will be considered abondoned and disposed of. No claims will be acknowledged.